About the author: Chris Abts is the President & founder of Cornerstone based in Reno, NV. He helps people to better manage their wealth so they can focus more of their time on what truly brings meaning and fulfillment to their life. Abts is also the TV show host of Redefining Retirement, which airs every Sunday evening at 5:30pm on KTVN Channel 2. When you stop working, a void is created. Have a plan on how you will fill that void with the activities that bring purpose and meaning to your life. Spending your time pursuing what brings meaning and fulfillment to your life is a secret to a rewarding retirement. Determine how much income you will need to live your ideal lifestyle. Remember to include things like travel, emergencies, gifts, etc. Be sure to remember to properly factor in inflation. You’ve been accustomed to a regular paycheck coming in every couple of weeks during your working years. Create an income plan you can count on to deliver dependable and predictable income. In other words, don’t let your financial security be dependent on something outside of your control. As the saying goes, expect the best, but plan for the worst. Currently, health care expenditures over a typical retirement for a married couple are about $300,000, according to Fidelity. Being retired means more of these health care costs, such as Medicare Supplemental insurance will come out of your pocket. In addition, consider if insuring against the costs of a potential long-term illness is right for you. If so, be sure to compare traditional and hybrid policies to determine what is best for your situation. The last few years before retirement can be a great time to pay down debt. If you can’t pay down your debt, then consider consolidating it, or perhaps refinancing your mortgage. In most situations, it is easier and more favorable to refinance a mortgage while you’re still working. Make sure you have sufficient cash reserves. In many situations, holding about 6-12 months of expenses in a savings account would be appropriate. Determine if any income sources will be lost when a spouse passes away, such as pension or Social Security. If so, and if it is important to replace this income for the surviving spouse, create a plan for how this income will be replaced. How you take income in retirement will determine the taxes you pay. Create a plan on how you will blend your various income sources, such as pension, Social Security, investment income, dividends, interest, etc., to strategically reduce your annual tax liability, both in the short term and in the long term, to benefit you and not the IRS. 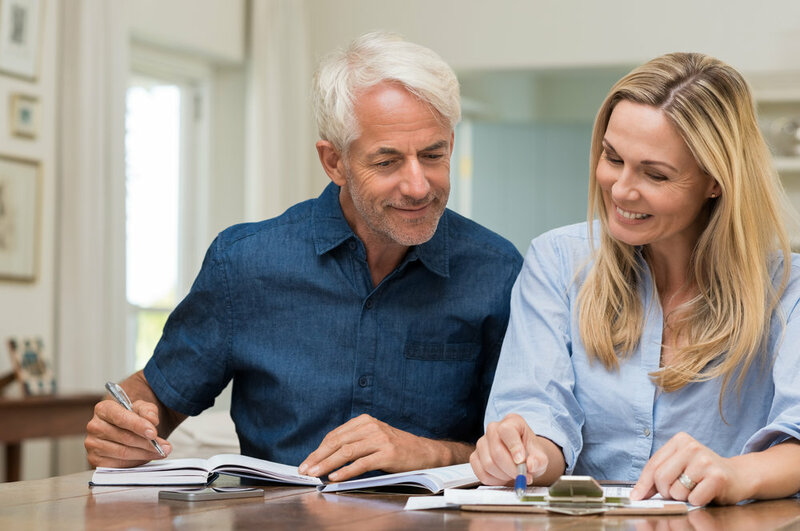 How you grow an investment portfolio to achieve financial security and how you invest during your retirement years are significantly different. Getting to retirement is all about growth, whereas, in retirement, it’s all about preservation and income. Know your risk exposure, make sure it is in-line with your risk comfort level, and make sure you are earning a fair return for the risks you choose to take. Review your Wills, trusts and powers of attorney to ensure they will do what you intend for them to do. Having the appropriate estate planning documents can help protect you and your family from unnecessary costs, taxes and delays. Also, don’t forget to review your beneficiary designation forms for your retirement accounts, life insurance, etc. If you haven’t established an estate plan, now would be a great time to do it.